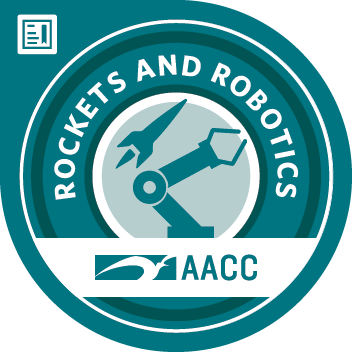 This course brings the high tech world of rocketry and robotics down to earth. Students work in small teams to write a step-by-step program to make robots spin, light-up and play music. Topics include building and exploring machines and mechanisms and understanding concepts to design a rocket . Program a robotic car to follow a maze course using LOGO programming language. Use math and measurement skills to program a robotic car. Program a pico cricket interactive circuit board using the LOGO programming language. Design and build a bottle rocket. Apply Newton's law to the motion to rockets.